As you may know, I’m quite fond of Professor Steve Matchett, whose part of the SPEED TV Formula 1’s Four Musketeers’ broadcasting crew... 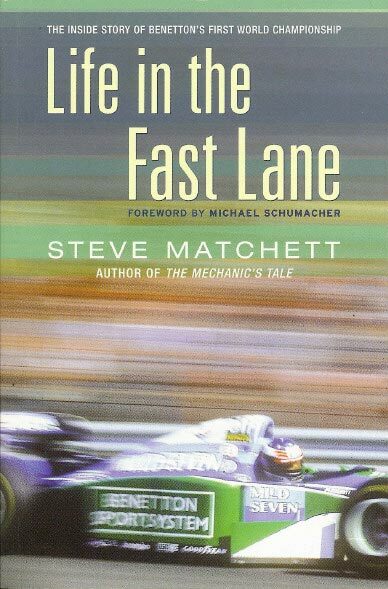 But did you know that Steve has also penned three racing books, prior to his career taking off at SPEED? The book (pictured) is obviously NOT titled, "Life in the Pit Lane: Mechanic's Story of the Benetton Grand Prix Year" Look at the book cover that you scanned!